It has been said that the kitchen is the heart of the home. It is also a major selling point for any buyer. That being said, kitchen remodels are often quite expensive. So what do you do if you want to change up your kitchen but don't necessarily have the time or budget for a major makeoverl? Consider these 7 quick and easy tips that will change the look of your kitchen instantly. 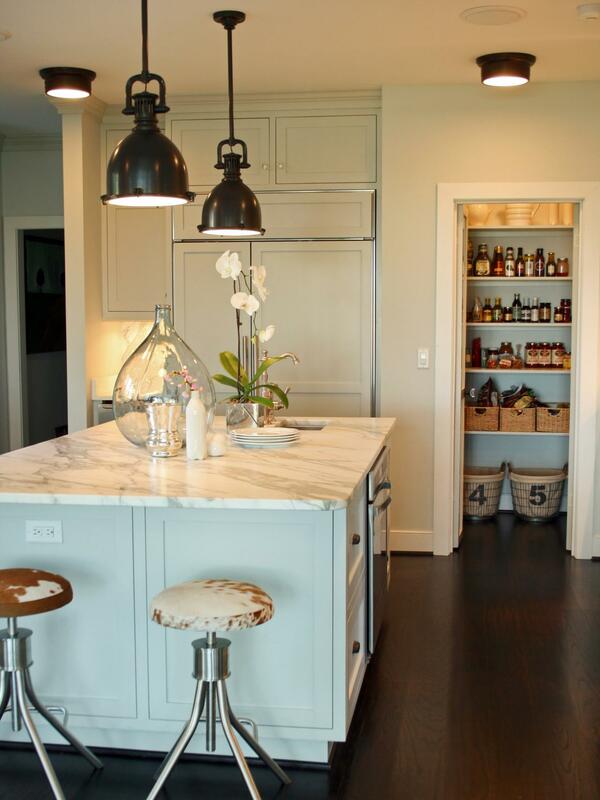 If the doors on your cabinets are old or out of date, consider taking them off and creating an open-shelf look. It will give your kitchen a cozy feel. You can also update the hardware on your drawers and cabinets. 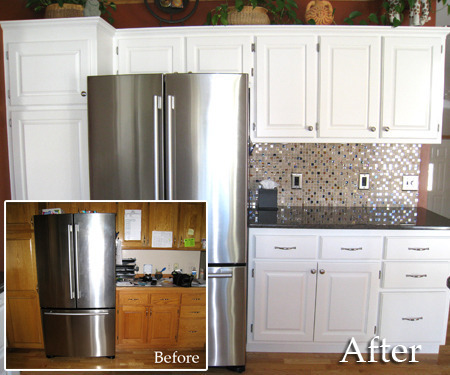 Swap out dull or old hardware with a newer shinier version and you'll feel like you redid the whole kitchen! Anything that's worn out in the kitchen can usually be touched up with paint or refinished - and voila a fresh kitchen in three easy steps. If you have more clutter than space consider doing a purge of unnecesary items. 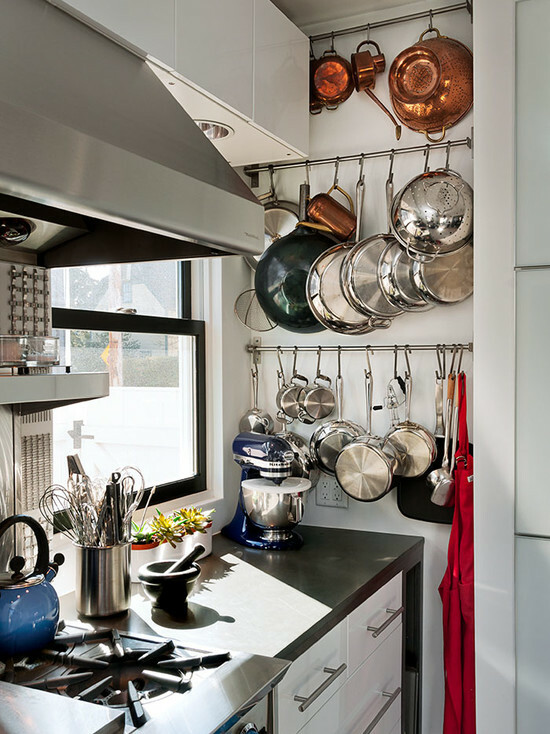 Or add more storage options such as hanging racks, open shelves, and cabinet organizers. Sometimes clutter can work. 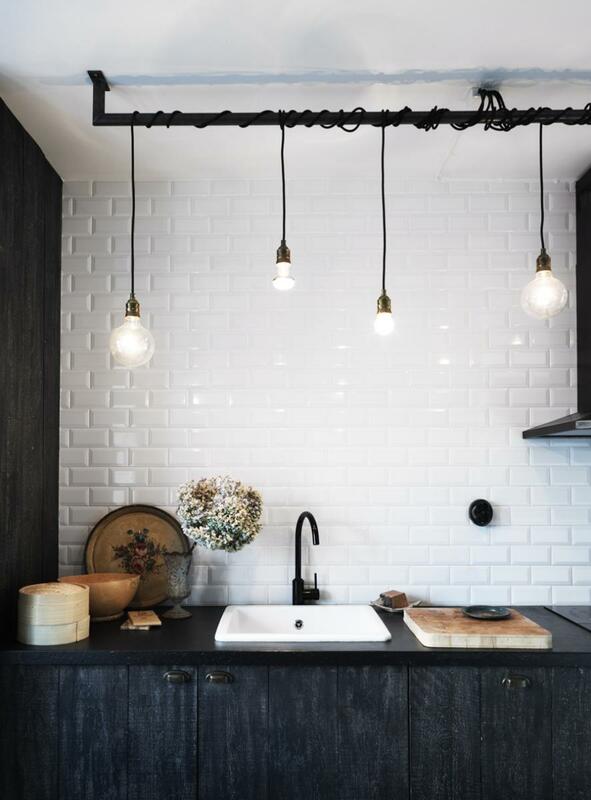 If you have pendant or fluorescent lighting, try replacing them with softer more stylish fixtures. Consider recessed alternatives or LED/CFL lighting. The latter is cheap and easy to install. If you don’t have the time or budget for an electrician, try just swapping out the shade – it can make a world of difference. This small tweek can totally transform your kitchen. If you have an old-fashioned-faucet your probably getting water at a slower speed and getting a higher water bill than necessary. Think about energy-efficent alternatives like low-flow faucets and adjustable, restaurant-styles for cooking. Old countertops can collect scratches, dents and burns. If your countertops are worn out and you don’t want to drop the money to replace them, hide them. 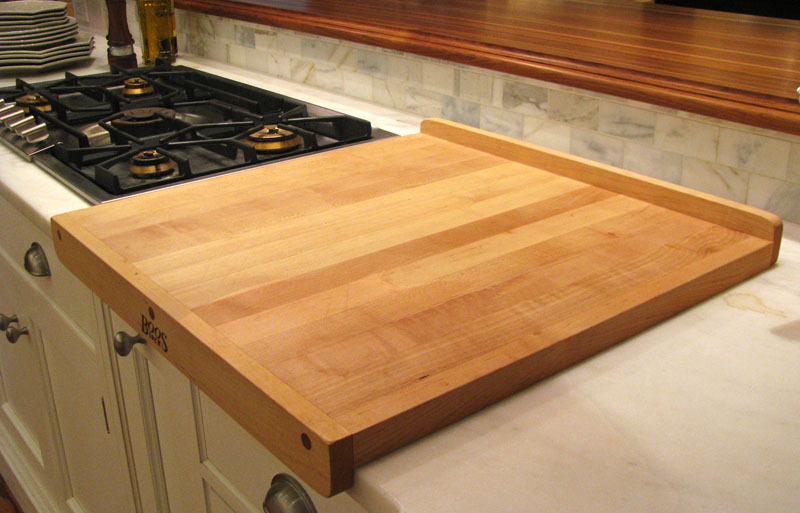 Get creative – use elements such as cutting boards, standing appliances or fresh paint to hide the wear and tear. This may seem like a no-brainer but people often overlook this simple ugrade. If you have a small budget and don’t like the open-shef look, consider refinishing or reapainting your cabinets. It will refresh your whole kitchen. Don’t be intimidated – as long as you have patience and the right materials it will look great. 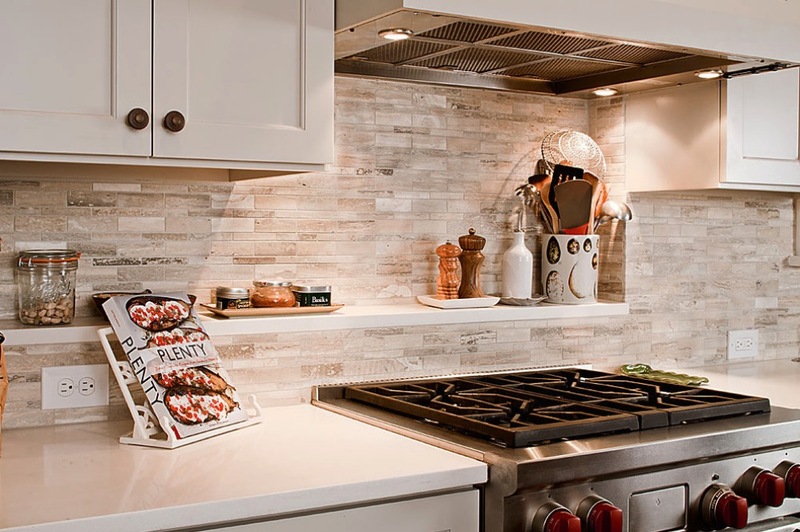 Backsplashes can be customized to the color scheme of your ktchen. It’s as easy as buying tiles at a local home store and installing them. This quick and easy DIY will completely revamp your kitchen. Feeling ambitious? 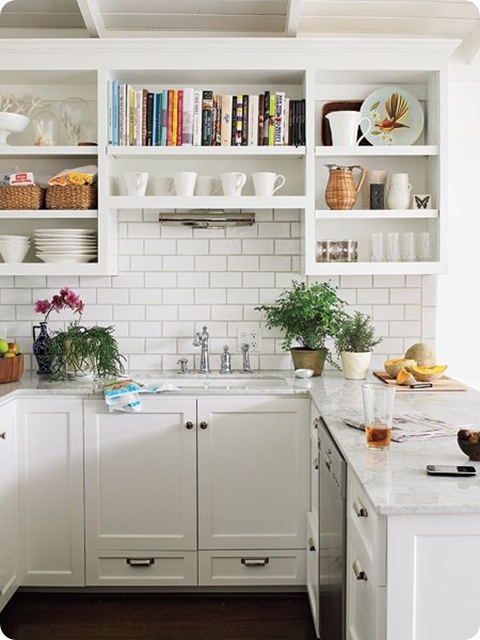 Paint the trim or molding in your kitchen to match the new backsplash.